Decora cabinets were founded with a key philosophy in mind that a beautiful kitchen resonates throughout the rest of the house, so it was important to them to make the best possible cabinets one can have in their kitchen. Founded in 1976, Decora cabinetry has the user in mind in that they are timeless in their design and sturdy in their construction. With up to 3,500 different fits and finishes one can end up with, it’s no wonder why Decora is still doing strong in the cabinet community. With their headquarters residing in Jasper, Indiana, it’s fairly easy to believe why Decora makes such a fine product. The history of wood-workers and furniture-makers goes back with this town for generations, giving the latest generations the upper-hand in craftsmanship that’s been handed down for years and years. The high-caliber work coming out of this town is exactly why Decora makes the quality product that they do. As every Decora cabinet is hand-made, each and every plank and panel is given the attention it deserves to best fit the wood it surrounds, giving you a quality, long-lasting kitchen setup. 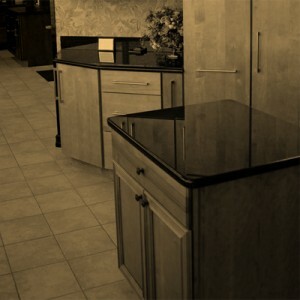 Decora even goes as far as offering wear services that give your cabinets age and your kitchen much more personality. These services include adding wormholes and splints to the wood, as well as sanding off the corners to give a more worn look, adding character to the piece and to the overall environment. If you’re looking for a quality cabinet set look no further as you’ve found it with Decora. ASA Builders Supply/ Cabinet Corporation have been a supplier of Decora cabinetry for many years, and they hope to continue that for many years to come. If you think Decora cabinets sound like the right answer for you, please don’t hesitate and give ASA Cabinets a call today, or better yet visit our showroom in Walled Lake. 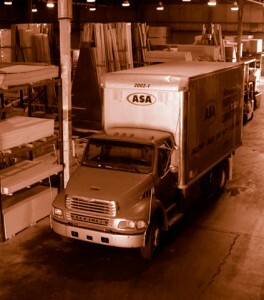 Whenever you decide its time for new cabinetry, our team at ASA is ready to go for you! With more styles and features stock cabinets are becoming more mid-priced. To any person that is remodeling the more style for less is always better. It not the feature that matter it is the way you arrange the cabinets in a busy kitchen. A while ago to distinguish high end cabinets all you would have to do is look inside the drawers to see if there was any dovetail joints. The distinction between high and low end cabinets has faded, because now even low-end cabinets have premium features. We found that even though you could get exclusive features you could get something with a poor construction. Before you pick out anything at the store you should do some research on the cabinets that you want. You can start by looking at online manufacturing and retail site; you could also take a look at store displays. Once you know where to look you will be able to tell how good the cabinets are by looking at the one that are polished pretenders. When picking cabinets you do not want to ask what other people think, because they don’t know what you like. A lot of people that asked contractors, designers or architects reported problems with the cabinets. So when picking don’t trust the opinion of other people make your own decision and pick something that you like. If money is a problem when buying cabinets don’t look at what is most fashionable look at something that is suitable for you taste and is affordable. Also when buying cabinets you have to take under consideration to installation fee can sometimes add up to half of the cabinets cost. When remodeling your kitchen getting cabinets could be the most expensive part. According to our survey people who hired contractors paid $9,000 and a quarter of the people reading paid over $15,000. Instead of paying so much why not buy some paint and polish, paint them, and then finish them with a coat of polish. Also another way to save is instead of buying new cabinets is to replace old shelves and make the cabinets less weak. There are many varieties of cabinets for your home redesign. Whether you are part of a construction company, an interior designer, or a simple homeowner looking to increase the value of your home, there are endless possibilities. If you are on a budget, you can mimic the same natural materials that would otherwise cost an arm and a leg for less with decorative concrete. Using decorative concrete for the interior of your kitchen or bathroom cabinets is one of the most versatile materials on the market today. You can use stamped concrete designs, concrete stencils, and color options to create any look you desire in your home. You can combine decorative concrete with glass inserts or chrome frames for your cabinets to achieve the most unique appearance. If you want marble in your home to accent the new cabinets in your kitchen or bathroom, you can create the appearance of marble for a fraction of the cost with decorative concrete. When you use decorative concrete options you can also create designs which appear like slate, flagstone, and brick. There are virtually no limits to what you can create through integrating decorative concrete finishes with your new cabinet installations.